We work with enthusiasm and interest, being we ourselves motorcyclists and carbon lovers! Handmade. Light as air. Perfect on your bike. "Amazing quality products, uniform and perfectly varnished carbon weave. A company of rare professionalism with a quick and exhaustive customer service. Super fast deliveries with three layer packaging. Quality-price ratio hard to find. Congrats." "I purchased several parts for my Hypermotard. Besides the items made with a very thick carbon fiber texture, sign of high quality material, I want to point out the exceptional availability and professionalism of the owners. A great guarantee for both the products and the company." "Their customer service is outstanding. All my e-mails (a lot) were quickly replied to. One of the parts had a minor defect, but Maxicarbon offered to have a new part sent or a partial refund. I chose for the refund and it was deposited the very same day. 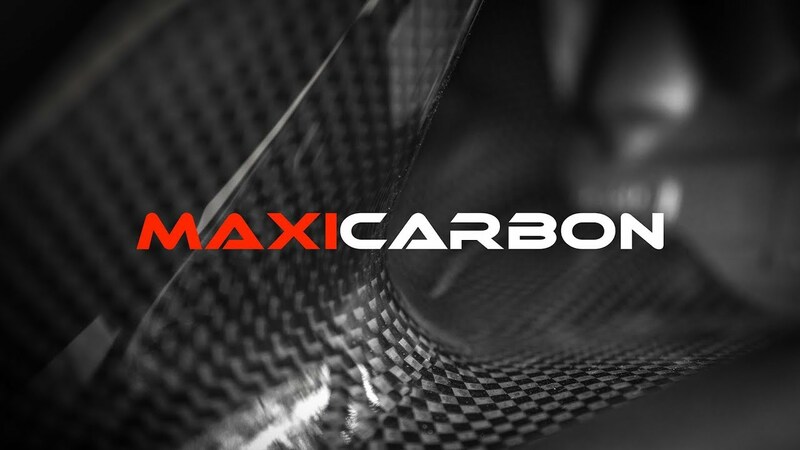 If you need any carbon fiber parts for your motorcycle, Maxicarbon will not disappoint!" "I called this morning to check if the part was available, got an appointment and in less than an hour I had the item in my hand, ready to fit. There will surely be other future occasions to see each other!" "Extremely positive feedback for Maxicarbon! Top quality material, maybe even better than the Aprilia parts. Matte anti-UV treatment not to make it turn yellow. Same joints of the original parts. Very very satisfied!!" "It's such a pleasure to work with companies like this, always ready to fulfill all my needs. Nothing to say about the parts, everything's perfect, top quality carbon without any flaw, perfect joints like the original items. I'll spread the word among motorcyclist friends." "I've just fitted a pair of radiator covers in my Brutale: they're perfect! Excellent customer service offered by Maxicarbon, fast shipping (even abroad) and great value for money!" "Great job, super honest prices and instant reply to orders. I bought both the dashboard and the keyguard covers, and when I found out that the second was being manufactured they offered me discounted shipping. Recommended." "Excellent product, professional and nice staff: couldn't ask for more. The online service is one of the best I've ever seen. Good job guys, will be in touch again soon!" "Super fast shipping, great prices and top quality products. I bought a few accessories for my MV Agusta Brutale 800, but I think I will make it all carbon by Maxicarbon. 10+"
"Perfect company, especially in the post-purchase phase. One part I ordered was perfect, while another had a little manufacturing defect: they took it back and replaced it. Well, this is what makes a real company: communication and trust, and Maxicarbon for me has been that all!" "This morning I went to pick-up some parts for my SD 1290. The quality of the items is extraordinary, really well made in every detail! The staff is very helpful and nice."